Prominent & Leading Manufacturer from Jaipur, we offer plain polywood pvc wall panel, grooved pvc wall panels, pvc wall paneling, decorative pvc wall paneling, indoor pvc false ceiling and polywood pvc wall panel. We have marked a distinct position in the market by providing an excellent quality range of stylish PVC Wall Panels; our offered Wall Panels are designed and manufactured using high quality Polyvinyl of our vendor’s highly skilled professionals. 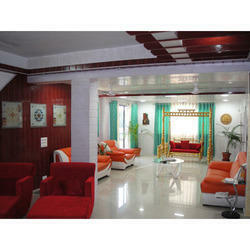 We provide these wall panels in variegated sizes, designs and patterns of our patrons to choose from. 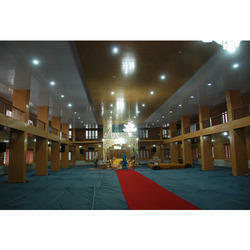 Apart from this, we offer these wall panels at industry leading prices to the clients. Usage/Application Office, Bedroom, Kitchen, etc. 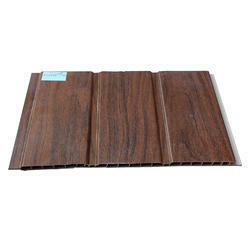 Our company is one of the best companies in offering a wide range of high quality designer PVC Groove Panel. These are available in various dimensions and eye – catchy designs. Moreover, our trust worthy customer can avail these products at the most reasonable price in the market. With the help of our skilled professionals we maintain the quality of the products. 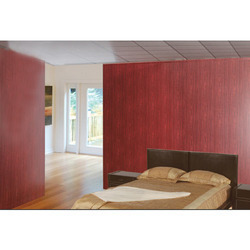 PVC Wall Paneling are available in the variety of colors, shades and patterns and are easy to maintain and clean. Contemporary designs and patterns to suit your ambiance. 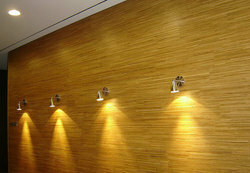 High light reflection range 80%-91%, helps with room illumination. Can be used at Offices, Homes, Clubs, Restaurants, Hotels and Other Interior Walls etc. Applications Office, Bedroom, Dining Hall, etc. 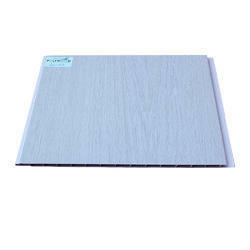 As of the leading firms offering PVC Wall Panels of best quality, we have earned a lot of appreciation. The décor offered by us is carefully manufactured at our vendor’s end in stringent compliance with industrial quality standards. These are available to client in multiple specifications such as colors, designs & patterns at leading market price. These are known for their elegant appeal and eye – catching looks. These are available to clients at leading market prices. 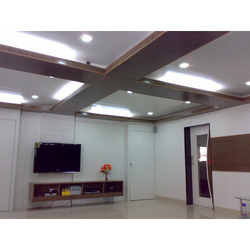 We are the Biggest Manufacturer of PVC Wall and Ceiling Panel in India. 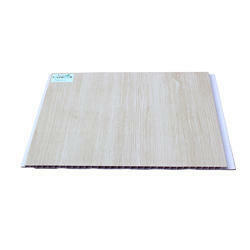 PVC Wall Panels are used in bedroom, drawing room, etc. Polywood is the biggest name in the industry and oldest one. We have our dealers available all over India including our own 7 branch offices. All material is available in stock in all sizes with matching accessories. 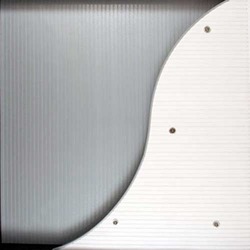 We are the one step of all kinds of PVC Wall Panels and PVC Ceiling Panels. Owing to our expertise in this field, our firm is engaged in supplying an extensive array of PVC Wall Panels. 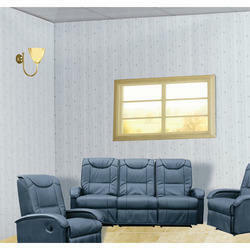 These Wall Panels are widely used in offices, rooms, kitchens, and many other areas. Highly demanded in the market our PVC Panels have scratch resistance and require low maintenance. 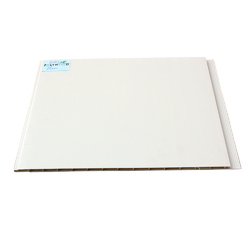 Moreover, our range of these PVC wall panels is widely appreciated in the market for their aesthetic look and smooth finishing. 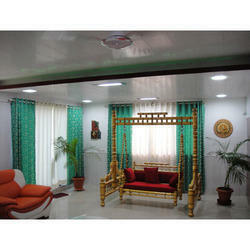 PVC False Ceiling are available in the variety of colors, shades and patterns and are easy to maintain and clean.